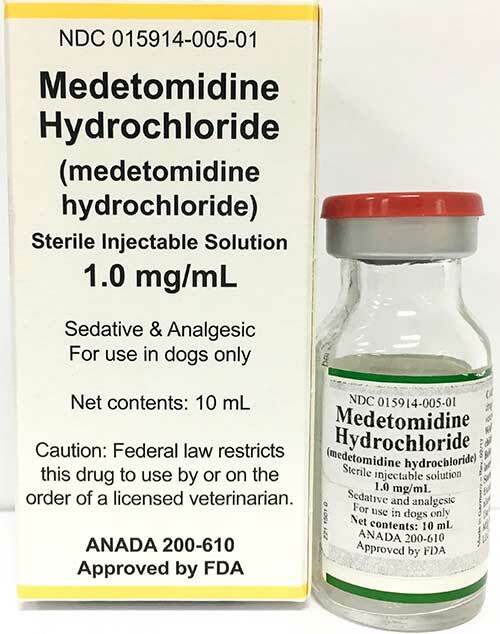 Medetomidine Hydrochloride is indicated for use as a sedative and analgesic to facilitate clinical examinations, clinical procedures, minor surgical procedures with the exception of those requiring muscle relaxation, and minor dental procedures where intubation is not required, in dogs over 12 weeks of age. The IV route of administration is more efficacious for dental care. Medetomidine Hydrochloride should be administered at the rate of 750 µg IV or 1,000 µg IM per square meter of body surface. See chart to the right. Storage: Store between 20-25°C (68-77°F) with excursion permitted between 15-30°C (59-86°F).